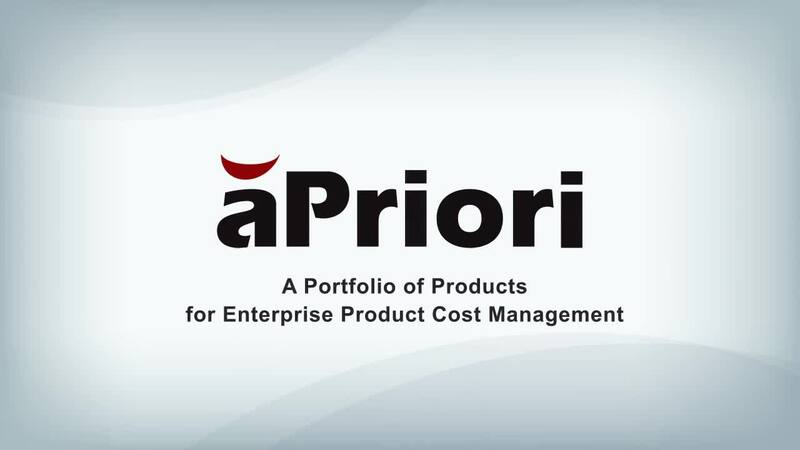 Discover why aPriori’s product cost management (PCM) solutions are the perfect fit for enterprise companies looking to realize greater visibility and control over their product costs. Our flexible, modular software offers easy to use reporting and analysis solutions for any scale of deployment, and is backed by over a decade’s worth of development and testing. 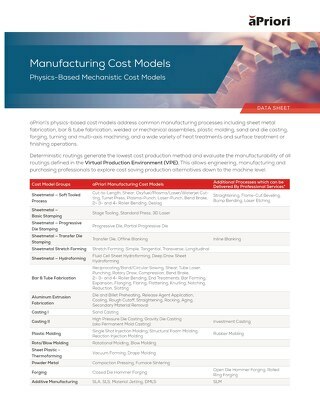 This datasheet provides information on all of the core technologies and benefits included with each of aPriori’s Cost Foundation Packages, so that you can decide exactly what level of support you’ll need in order to reach your product cost management initiative goals. 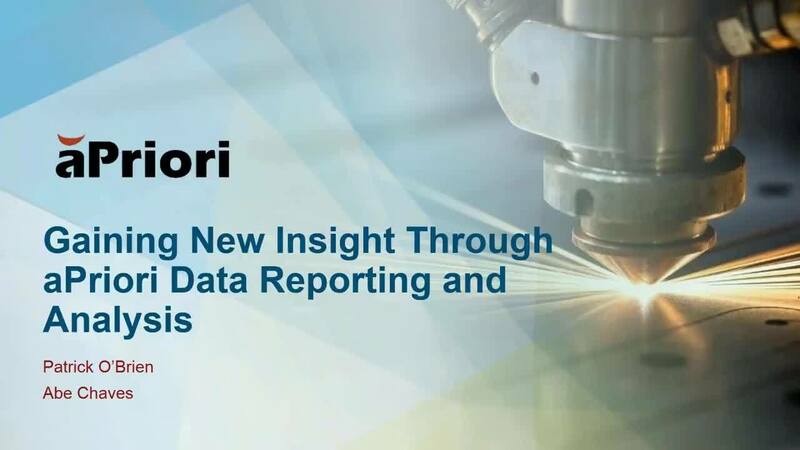 Watch this webinar to learn how to use Cost Insight Report to gain new insights within product design and sourcing functions. 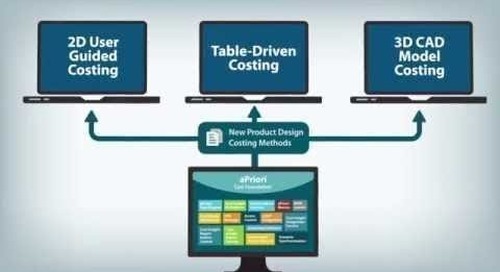 aPriori's Product Cost Management technology is built upon a cost foundation that represents 200+ man years of R&D investment. Learn More. 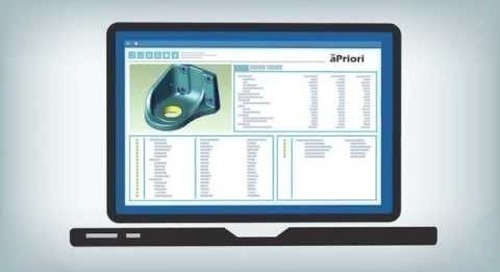 Learn how aPriori's revolutionary product cost management software can rapidly generate detailed cost estimates using any 3D solid CAD model as the primary input. With the help of an aPriori Virtual Production Environment (VPE), your business can explore the lowest cost production methods for a variety of manufacturing operations. 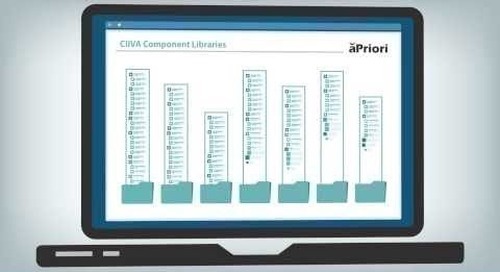 Learn how aPriori can help customers generate detailed cost estimates when no 3D CAD solid model is available. Applications include generating estimates early in the product concept stage. 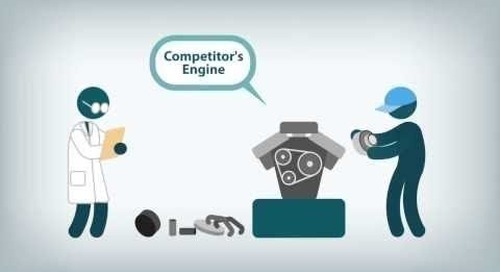 aPriori helps companies turn tables of data and specifications into highly detailed cost estimates for applications such as Wire Harness manufacturing. 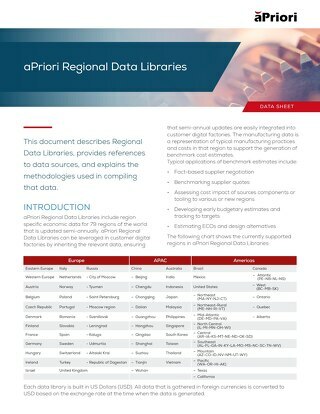 This document describes aPriori's Regional Data Libraries, provides references to data sources, and explains the methodologies used in compiling that data. Learn About how aPriori's Cost Insight product can help business & program managers understand product cost status and product profitability trends. 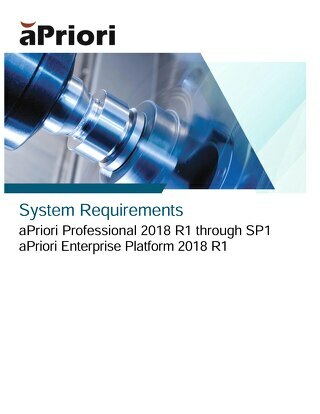 This document covers the requirements of the current releases of aPriori software. 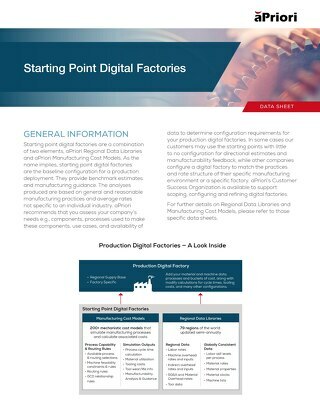 Starting Point VPEs are the Virtual Production Environments from which customers start configuration in a production deployment. They provide benchmark estimates and manufacturing guidance.